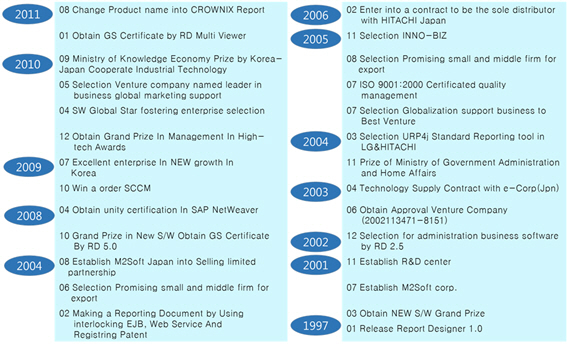 크로닉스 리포트(CROWNIX Report)는 다양한 데이터 소스와 연동하는 다양한 형태의 보고서를 손쉽게 작성할 수 있으며, 최종 사용자에게 양질의 보고서를 신속하고 안정적으로 서비스할 수 있는 리포팅 솔루션이다. 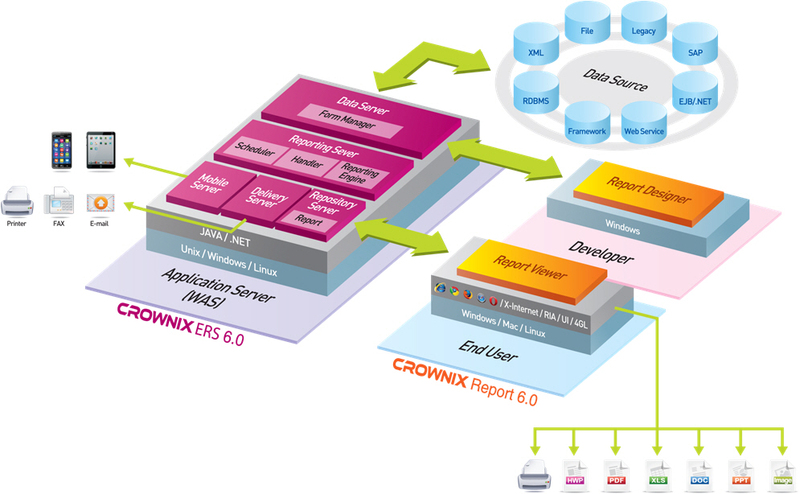 CROWNIX Report that interacts with the database can easily create a variety of reports and Services Reporting Solution can be quickly and reliably the quality of the report to the end user. 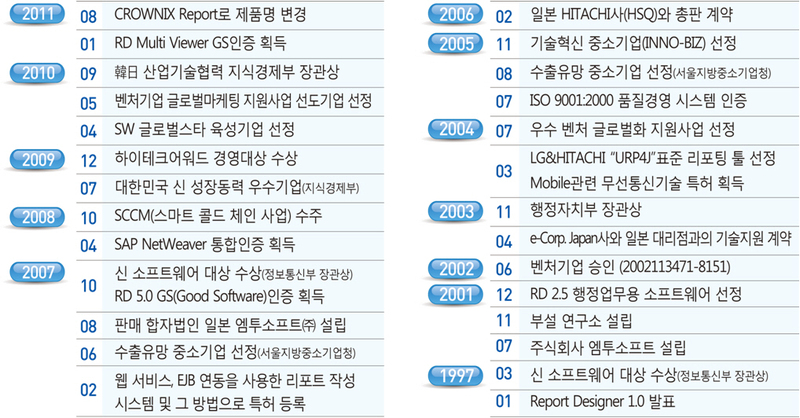 - Mobile device support - Smart phone, Tablet PC, PDA etc.